First, start out by pre-heating your oven to 325 F. Next, Mix your graham cracker crumbs, 3 Tbsp Sugar, and butter together. Press the mixture into the bottom of a 9 inch spring form pan. With a mixer, beat the cream cheese, 1 cup sugar, and vanilla until it’s well blended. Mix the eggs in one at a time making sure each one is blended before adding the next. Then, pour the mix into the crust. Bake for 55 minutes or until center is set. Loosen cake from pan, cool before removing the rim. Refrigerate for 4 hours. 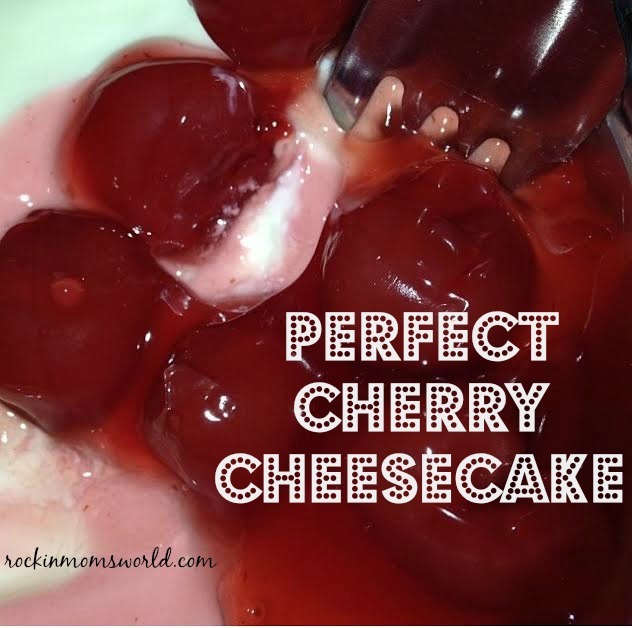 Combine cherries, lemon juice, water, sugar, and cornstarch in a sauce pan. Stir. Then, bring the mix to a boil. Next, reduce the heat to low and cook for 10 additional minutes, stirring often. Finally, stir in the almond extract last. Blend well. Refrigerate. Just because my snuggle puggle is a dapper lil dude! SUPER Yummy SUPER Cheesy Crock Pot Bacon Mac and Cheese Recipe!